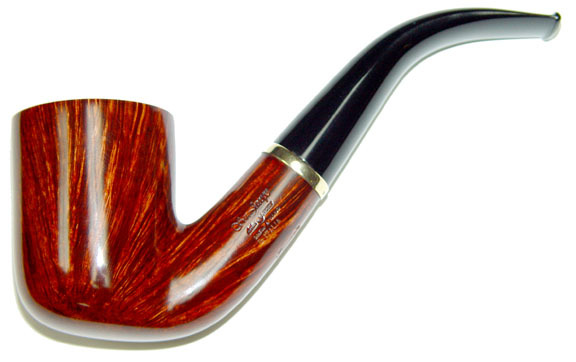 This pipe is almost an Oom Paul and as such among the rarest of Ser Jacopo shapes. To have it in a Gem Series piece, like this Emerald Maxima, is obviously hardly ever seen. ...and this is one of those rarities. A very large classic bent with super grain throughout. It is also mounted with an 18k Gold band.